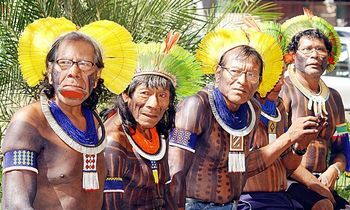 The Kayapo (Caiapó in Portugese) are the native people of Brazil living on the plains of the Mato Grosso and Para, south of the Amazon Basin and along Rio Xingu and its tributaries. They have population of about 7,000. They call themselves Mebengokre or „the men from the water place“. There 4 subgroups of Kayapo people - Gorotire, Menkragnoti, Metyktire and Xikrin. The San or Basarwa people live on the vast territory of Kalahari desert which is divided among 3 countries – South Africa, Botswana and Namibia. 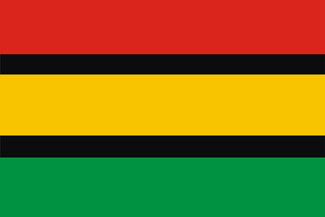 Some San communities exist in Angola too. 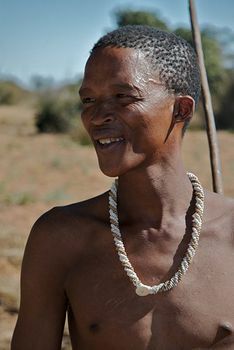 The San are often called Bushmen. The word "bushman" is rather pejorative. It comes from the Dutch word, "bossiesman", which means "bandit" or "outlaw". White people start calling the San that way some 200 years ago. The Sámi people are indigenous people living in the north of Europe. 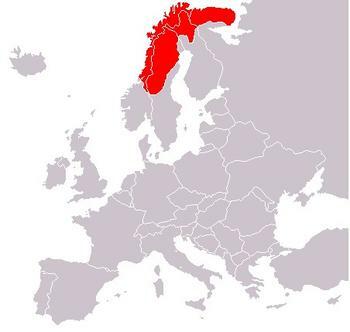 Sámi communities exist in northern Norway (60,000-100,000), Sweden (15,000-25,000), Finland (6,400) and on Russian Kola peninsula (2,000). Sámi people are often called Lapps or Laplanders. But, they do not like it at all. They find it pejorative. Sámi call themselves Sámit (the Sámis) or Sápmelaš (of Sámi kin). As to the Australian Bureau of statistics there are 517.000 (2006) Aborigines, which is 2,6% of Australia's population. 63% of Aborigines live in New South Wales, Queensland and Victoria; 28% in Western Australia and the Northern Territory; and only 9% in Tasmania and Australian Capital Territory. 32% of all people in the Northern Territory are Aborigines. The percentage of Aborigines in all other parts of Australia is 4% or less. 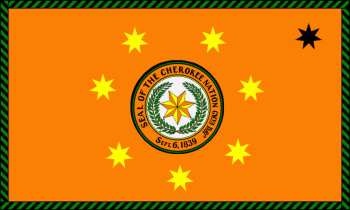 Cherokee (Tsalagi, Aniyvwiyai) Native American people mainly live in Georgia, North Carolina, South Carolina and in the east of Tennessee. At the moment there are about 300,000 Cherokee people. Georgia is a country with population of 4,570,934 (2011 estimate). Its people call it Sakartvelo. 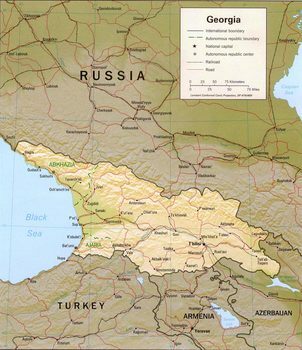 Georgia is located in the Caucasus region of Eurasia. 83,9% of Georgians are members of the Georgian Orthodox Church. Lebanon (in Arabic Lubnān) is a republic in Western Asia. 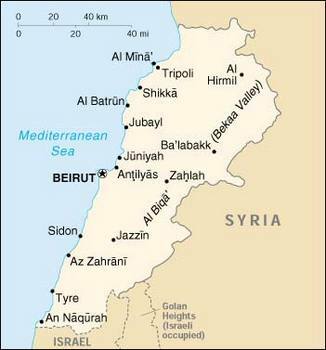 Lebanon is located on the shore of Mediterranean sea. It has an area of 10,452 square kilometers. Lebanon has a population of 4,140,289 (2011 estimate). About 10 million Lebanese live outside Lebanon. Where did they come from? As to the legend from the pre-Columbian era they existed before the sun. The earth was still dark and cold then. 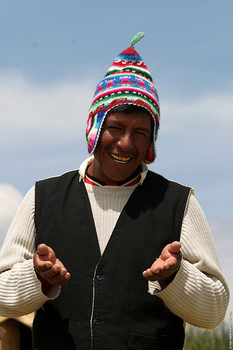 They did not call themselves men but Uros. It was believed that men only came after the sun. 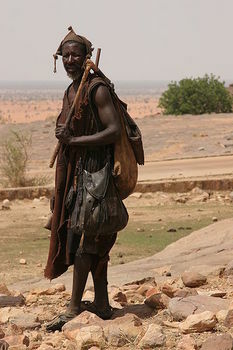 The Dogon people, with population of less than 800,000, live in the central lowland region of Mali, south of the Niger bend near the city of Bandiagara in the Mopti region. The most important Dogon community, meaning more than 450,000, lives in the area around the Cliffs of Bandiagara. These sandstone creation in central Mali has the length of more than 200 kilometers. Before Dogons the Tellem people (pygmies or „small red people“) lived in the area. You are in Fiji. You have to meet one of the locals. Here is how to greet properly. You just say Bula. Bula in Fijian language means „health“ or „life“. 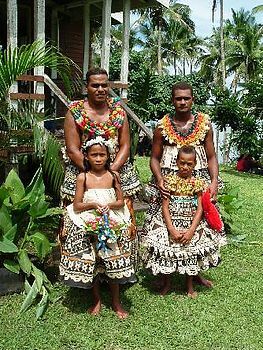 In Fiji it is a tradition that young man is asking girl's father for her hand. He brings a special present. If possible it is a whale's tooth. It is a symbol of wealth, status in society. 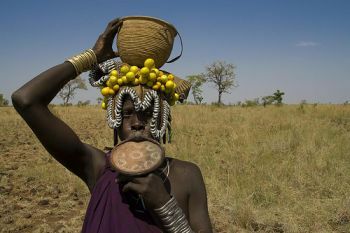 Mursi or Murzu people, numbering about 47000, live in the Omo valley in the southwest of Ethiopia. They are nomadic cattle herders. They move in search of grazing and water for their cattle. When possible, they raise sorghum and corn. The Mursi woman has a plate ("dhebi a tugoin") in her lower lip. Such plates are made of clay. They are being put by mother or some local woman. It is done for the first time when the woman is 15 or 16 years old. The Maori people are the indigenous people of New Zealand. According to the latest data there are about 600,000 Maori people. They make 14% of total population in New Zealand. As for better climate most of Maori people live on the North Island. The Maori language or Te Reo belongs to Polynesian languages. Its alphabet has 15 letters - h, k, m, n, p, r, t, w, a, e, i, o, u, wh and ng. The Himba people live in the Kunene region of northern Namibia. They raise cattle and goats.